This healthy ice cream sundae tastes like everything a decadent ice cream sundae should be but with lots of fiber! Plus it’s easy to make! 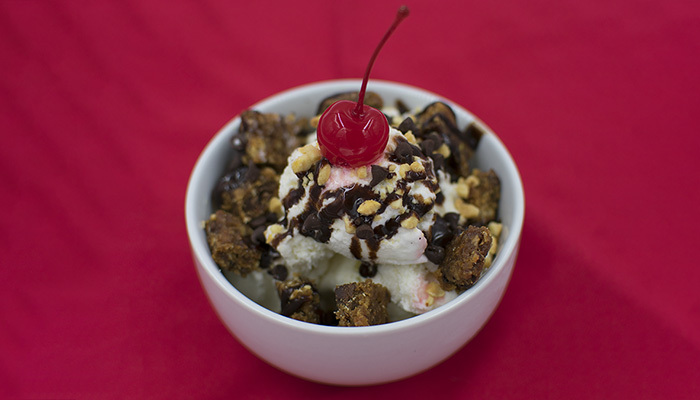 Scoop ice cream and put in a bowl and top with Fiber d’Lish bar, chocolate sauce, peanuts, chocolate chips, and a maraschino cherry. Enjoy!